The Dragon Reader is an applique or Panel Book Sling sewing pattern. All you need is a double Curtain rod and a little wall space for this guy! 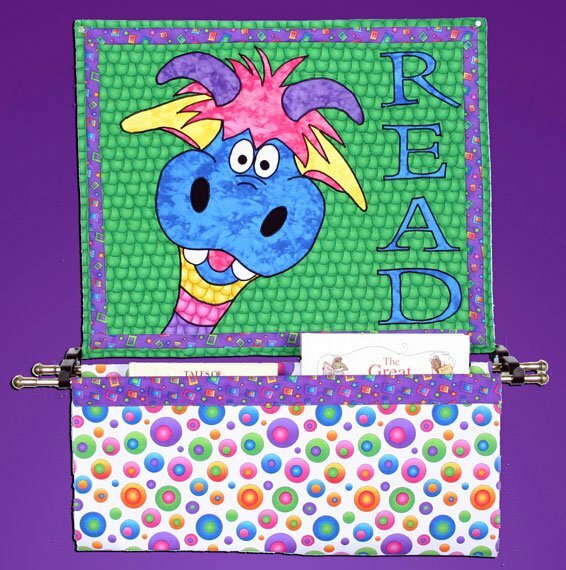 The Applique features 'Thor' our fun dragon and word READ to encourage those little ones to pick a book from the sling!